Celino South Beach is a whole new way to do Ocean Drive. After a speedy check-in, step outside into the new Celino District for infinite possibilities. Here’s what to expect when you stay just steps from South Beach’s most iconic destinations. The Celino looks out over Lummus Park and the turquoise waters of Miami Beach just beyond. With over 26 acres of pristine green space, Lummus Park is Miami Beach’s beachfront playground for both children and adults alike. Escape the rays with a rest under the pavilion, test out your beach volleyball skills on sand courts, or squeeze a workout in at the famous Muscle Beach South Beach. The palm-shaded walking trails are gorgeous and you’ll often catch concerts, marathons, and the occasional film set popping up at this popular SoBe destination. Once you’re ready to take a dip in the warm water or lay out on the white powder sands to work on your tan under the Miami sun, the shore of South Beach is at your disposal. Simply cross Ocean Drive from Celino and you have arrived. After a day at the beach, unwind in our palm-lined pool courtyard surrounded by lush gardens. Your poolside cocktail awaits. Centrally located within the Collins Avenue and Ocean Drive shopping districts, the new Celino District is proud to be a part of SoBe’s fashion hub. The retail appeal of the vibrant streets surrounding Celino satisfies the most fashion-forward among us. You don’t have far to look for the hottest street fashions, chic gifts, and fun SoBe souvenirs to commemorate your Miami Beach getaway. The Celino District is home to some of the trendiest clubs in SoBe entertainment. Mango’s Tropical Cafe and Nightclub, Rockwell Miami, Twist, STORY Nightclub, and COPA Room Show and Nightclub are all within walking distance from Celino. Before a night out in South Beach, grab a bite to eat at one of Celino’s onsite premier restaurants. Sit down to an innovative Italian-inspired meal at Pubblica or enjoy Mediterranean tapas and handcrafted cocktails from Dalia. For classic Cuban fare, visit the landmark Puerto Sagua diner or Larios on the Beach, Gloria and Emilio Estefan’s eatery only steps from Celino. From world famous seafood restaurants to Colombian fusion, the new Celino District has it all. 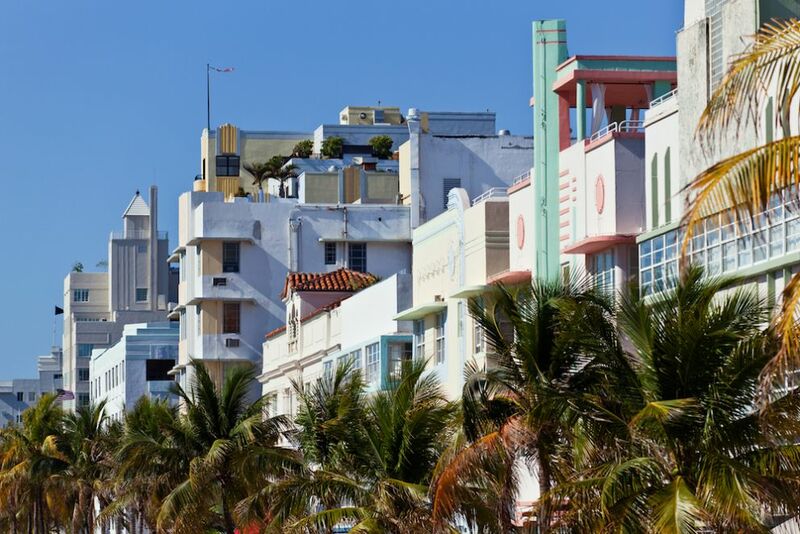 You are in the heart of Miami Beach’s Art Deco District when you stay with Celino Hotel. The Celino is only one of hundreds of historic sherbert-colored Art Deco buildings within one square mile. Visit the nearby Art Deco Museum or The Wolfsonian for a deeper look at the art movement that took Miami by storm in the 1920s. Follow the Celino Instagram and post a photo using #BeSeenCelino to show us what you get up to in the new Celino District. Get to your exciting plans faster when you book with Celino South Beach. Be amongst the first to visit the brand new Celino District when you book our exclusive pre-opening promotion. Receive 20% off our Best Available Rate and a daily breakfast credit when you book now with Celino Hotel.